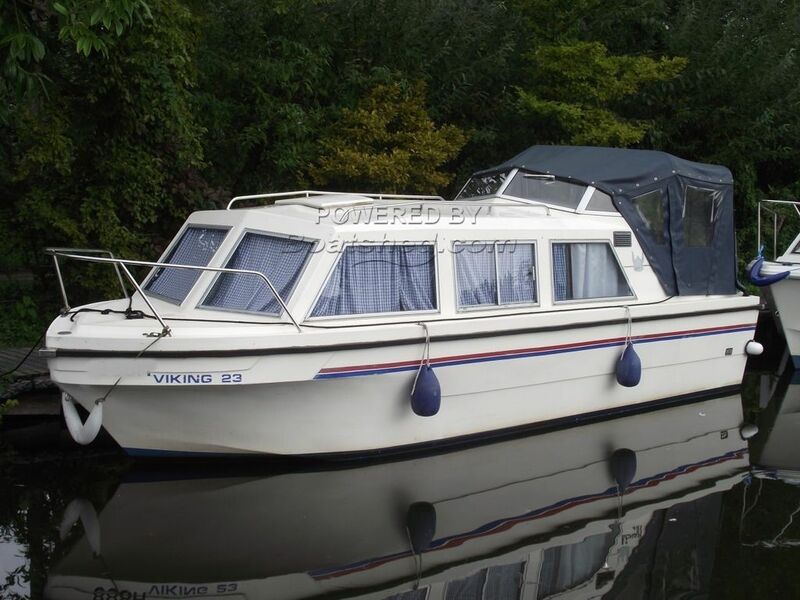 An ideal starter boat, this Viking 23 Mk I offers accommodation for up to four in one cabin. Making the very best of the space available, she is a light and airy boat and benefits from a separate heads compartment with chemical head, excellent galley area with Flavel Vanessa oven, grill and two burner hob, grille and oven. Powered by a Honda 10hp four stroke outboard serviced April 2018. This Viking 23 has been personally photographed and viewed by Gary of Boatshed Norfolk. Click here for contact details.